Robert Brooks Weaver Jr. was born December 29, 1958 in Rochester, NY and grew up in Easton, PA. Bobby began wrestling as a six-year-old and developed into a strong and agile competitor despite a lack of size. He wrestled for Easton Area High School at 98 pounds and won the 1975 and 1976 state championships. At age 17, he was the talk of the 1976 Olympic Trials after pinning his first 8 opponents—all older and heavier. He was named an alternate on the team that competed in Montreal later that year. In 1977, Bobby captured the state title at 105 pounds and also won the Dapper Dan Classic. Bobby’s New Jersey connection came in 1977–78, when he transferred to Blair Academy for a year before heading off to college. He was the star of the Buccaneers’ wrestling team, capturing the National Prep Championship and being named Outstanding Wrestler for 1978. Bobby set his sights on the freestyle competition at the 1980 Olympics and returned to Pennsylvania to wrestle for Lehigh, where he “wrestled up” at 118 pounds, the lowest NCAA weight class. He packed on the requisite muscle and competed at this level for three years after red-shirting as a freshman. He entered the 1979 World Championships in California and once again shocked wrestling fans by finishing second. 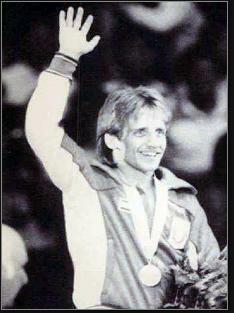 At the 1980 Olympic Trials he pinned 1976 Olympian William Rosado and celebrated with a backflip. Unfortunately, the U.S. Olympic boycott denied him a chance to perform in Moscow. Bobby finished third at the NCAA Tournament in 1982 and graduated from Lehigh with a career record of 57-14-3, with 16 falls. 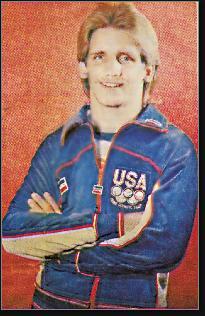 With his focus now on the 1984 Los Angeles Games, Bobby established himself as the top Flyweight wrestler in the U.S. and one of the best in the world. He captured two gold medals at the FILA World Cup and silver at the prestigious freestyle tournament in Tblisi. At the 1984 Olympics, Bobby—whose chances for gold were dashed in 1980 by the U.S. boycott—saw his chances enhanced by the absence of Soviet-bloc wrestlers thanks to a Russian boycott. Only seven wrestlers competed in the Light Flyweight class. Bobby defeated Gao Wenghe of China and Reiner Heugabel of Germany to earn a berth in the final against two-time Asian Games champion Takashi Irie of Japan. Bobby pinned him in 2:58 to win the gold medal. He took a well-deserved victory lap around the arena with his son Bobby III in his arms. After retiring from the sport, Bobby put his Lehigh education to work for him, becoming a math teacher. He moved back to New Jersey with his family and works for Phillipsburg Middle School. In 2008, Bobby was inducted into the U.S. Wrestling Hall of Fame.